Three has announced it will be bringing a mobile broadband-enabled SIM with a 5GB data allowance with no long term commitment. For £15 per month, users will get a mobile broadband SIM that allows them to surf the net via super fast HSDPA by connecting a dongle or mobile phone to their laptop. There's also the option to pay £19.99 if you don't already have a dongle or a 3 phone, but the network will be hoping users of the SkypePhones or INQ1 handsets will be popping the SIM into these as well. Users will be able to cancel the deal at any time by giving 30 days' notice. 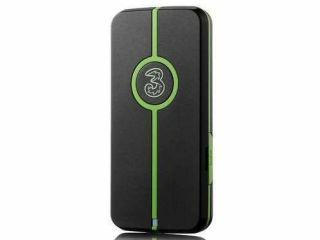 "The offer is perfect for customers wishing to upgrade their Pay As You Go Mobile Broadband packages to Pay Monthly but fearful of the contract commitment and they don't even need to invest in a brand new 3 dongle," said the network. The news obviously comes at a time when O2 is at the centre of a public outcry over tethering costs, as the launch of the new iPhone 3GS has placed the spotlight on the company's options for using your mobile as a modem. The company is charging £14.68 (for 3GB) or £29.36 (10GB) per month to use the new iPhone for data, so 3 is highlighting a significant price advantage with the deal, as well as giving customers the freedom to use it for as long as they want.